-	South African General Service Medal with clasp 1877 – 8 to Tpr. C. Holl, Berlin Vols. Coenraad Holl’s antecedents were decidedly Dutch or German in origin. His father was Johannes Robert Francis Holl and his mother, a Dutch-speaking lady, Elsje Carolina Petronella Holl. Born in the sleepy Eastern Cape hamlet of Alexandria on 1 June 1854 he was duly baptised there on 9 July of that year. As was common for the period families were large in number with the Holl’s no different – Coenraad had eight siblings in the form of brothers Carl Gottlieb Holl, born in in 1852, John Robert Francis Holl, born in the Albany District in 1858, Philip Lodewyk Holl, born in 1864, Jacobus Johannes Holl, born in Komgha in 1868 and sisters Elsje Frederika Johanna Holl, born in Komgha in 1850, Carolina Petronella Holl, born in Komgha in 1860, Jacomina Aletta Christina Holl born in 1861 and Martha Maria Holl, born in 1863. Mrs Holl, as can be surmised, was kept very busy on all fronts. Of farming stock the Holl family settled in the Berlin area of the region. As part of the Eastern Frontier this meant that they and other hardy settlers were called upon to act as a buffer between their fellows and the marauding black tribes in the area – tribes hell-bent on causing mayhem and stealing the cattle and other livestock and crops so carefully nurtured by the settlers. As many as nine kafir wars were fought over the period of a number of years but it was the ninth kafir war – the so-called Ngqika and Gcaleka war - that Coenraad Holl was to play a role in enlisting with the Berlin Volunteer Cavalry. The B.V.C. was mobilized on 16 December 1877 and initially commanded by the redoubtable Commandant Bertram Egerton Bowker with command passing to Captain L.L. Vincent on 8 January 1878 when Bowker departed to raise his ‘Bowker’s Rovers’. In February 1878 they were 126 strong and operating with a main body of 70 men and another 76 forming detachments at Macdonald’s Farm and at Fort Jackson; these detachments were still operating in April of that year. A detachment of 42 men from the Berlin Light Infantry served under Sergeant Wilhelm Ninneman with the B.V.C. having provided their own horses in order to conduct mounted work. Two companies of Fingoe Levies were also attached between January and April 1878. It appears that he had many family members in various units within the Berlin Volunteers as the surname recurs a number of times – no surprise looking at, again, the size of the average family and their offspring. The first clash between Galekas and a colonial force took place on 26 September 1877 on a hill called Gwadana, when a mixed force of Mfengu and troopers from the Colony’s Frontier Armed and Mounted Police (FAMP), commanded by Inspector Chalmers, engaged a Galeka party that had sacked a Mfengu kraal. Burgher volunteers, it was decided, were going to have to be relied on to fight this war and the Berlin Volunteer Cavalry was one of those called into being for the purpose. It wasn’t long thereafter that the tribesmen were defeated and the volunteers allowed to return home. The Berlin Volunteer Cavalry was disbanded in September 1880. 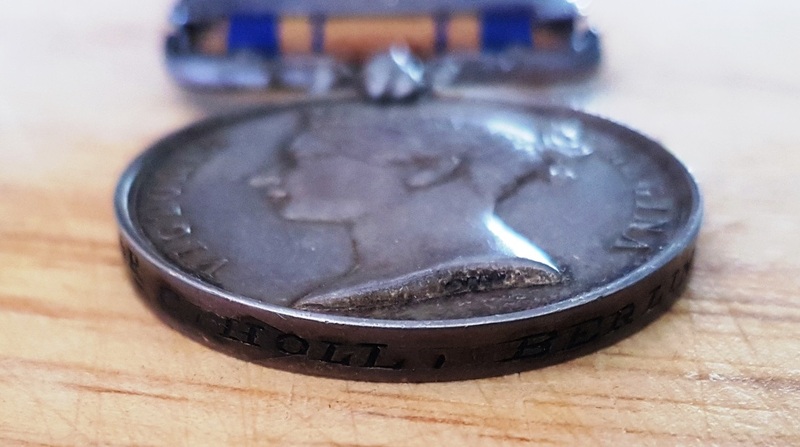 Holl received the “Zulu” War medal with clasp 1877-8 for his efforts and returned to his pursuits as a farmer. He passed away on his farm “Rosendale” in the Welcome Wood area of King William’s Town on 2 October 1936 at the age of 82 years and 4 months and was survived by his wife; whom he had married in the Fort Peddie district, Jacomina Johanna Christina Holl (her maiden surname was the same as his suggesting that they were cousins). As was the case with his own siblings he had fathered a number of children who survived him – ten in total. Rory-does a roll exist for the Berlin Vol Corps? I put your man's details into Ancestry but could not turn up a roll. Another question-these volunteers seem to have Boer sounding names-what do you think the chances are they changed sides some 20 years later? 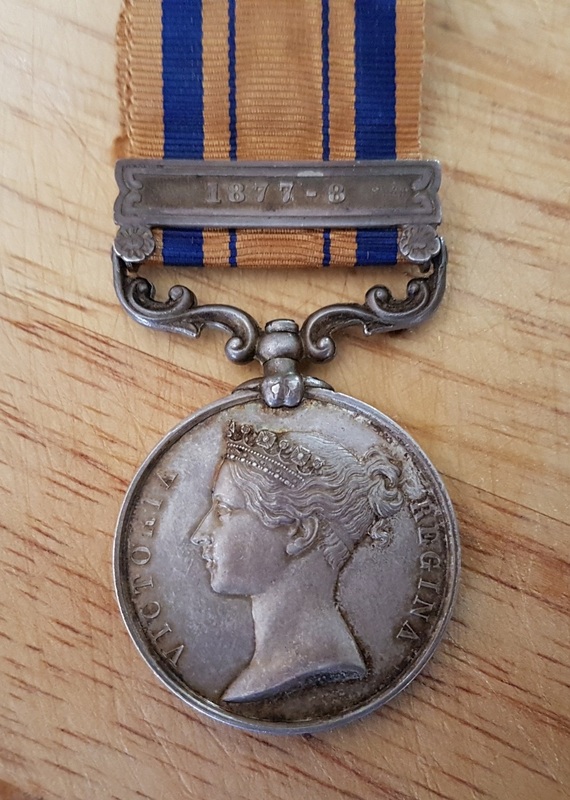 Are there any examples of recipients having both the Zulu war medal and the Anglo Boer War Medal? A roll does indeed exist George. If you PM me your email address I can forward it to you. To answer your question - yes there were a number of locally raised Eastern Cape units who were composed of Dutch-sounding men. This was no surprise - the original German settlers to the area (hence the name Berlin) had, over time, inter-married with folk of Dutch descent. The Frontier Wars were fought against the Gaikas and Galekas so the enemy was a common one for both Boer and Brit. Apropos the swapping of sides - no need as I indicated above - the British and the Boer/German settlers had a common enemy and were not at loggerheads with each other. There are literally hundreds if not thousands of men who fought in both the Frontier and/or Zulu wars and the Anglo Boer War - a very common occurrence. I have many such medal combinations myself. A QSA clasp 77-78 named to Sgt L.K.Erasmus Berlin Vols has turned up here in Australia hence my interest as it appears it may have been a very small unit. 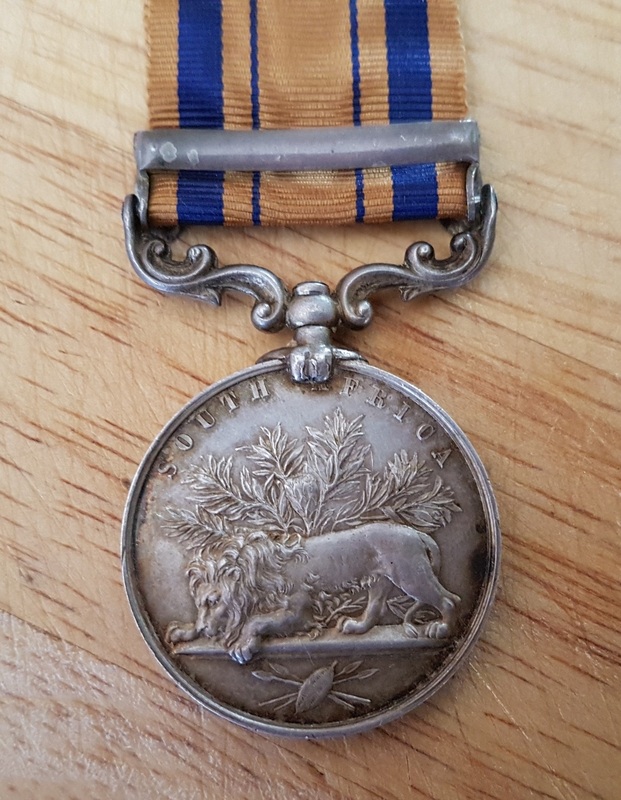 I didn't get the Zulu War medal to Eramus-the arrival of my council rates, water bill and electricity bill all within 3 days scuttled this idea-pity though as it appears it was an unknown example. It would appear from some emails I shared with Rory that the Zulu war medal rolls for some of these smaller units are far from complete.